Over the last few years, there has been a lot of controversy surrounding SEO and some of the best of practices of SEO. SEO can be a powerful tool for generating highly targeted organic traffic and conversions but only if you do it the right way. Unfortunately, the SEO world is filled with a lot of jargon, and you can easily get lost trying to keep up with the latest algorithms and link building techniques. We decided to create a list of the most common misconceptions surrounding SEO. Rumor has it that SEO is synonymous to content marketing. While in some aspects that may be true, they should, however, work side by side and not separately. It’s true content is important to search engine optimization, and it plays a major role in search rankings. 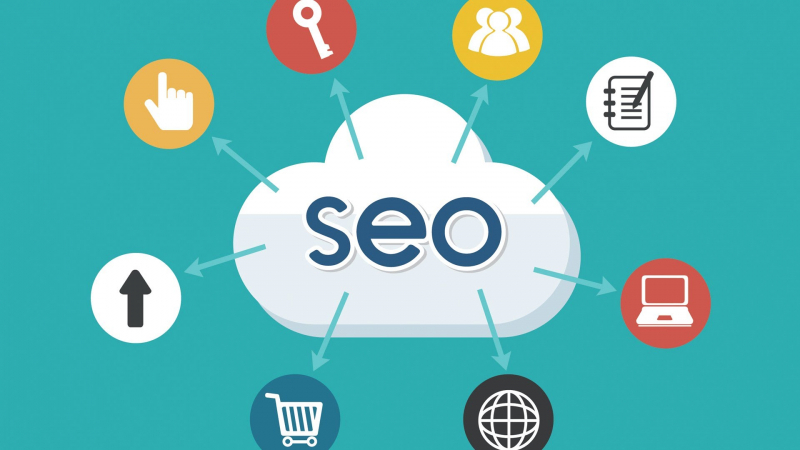 Having said that, you do need SEO to get your content the visibility it requires to generate organic traffic, increase the interaction and engagement to boost your rankings. Makes sense, right? Now, this is one of the most common conspiracy surrounding SEO—you have to spend money on paid search to boost your rankings. From our considerable research and experience, there’s no evidence whatsoever to support this claim. Moreover, Yahoo, Bing, and Google have already put up walls to prevent this kind of crossover. Ask any digital marketer the number of times they’ve been asked by their clients to stop SEO. Of course, the answer is usually no. This is because SEO is a process and it needs to be done consistently for you to maintain and boost your rankings. SEO is a lot like a marathon, if you stop to rest, your competitor will overtake you, and it won’t be as easy to recover your position. A couple of years ago, all the rage was about PR, and all you needed to do was get a bunch of backlinks and point them to your site, end-of. But Google hammered that down with its algo-updates and the current move is revolving around no-follow links and brand mentions. Or so we suspect, and for you to make this year and moving forward, your efforts should be focused on creating a buzz around your brand not just building a ton of backlinks. There is no evidence to support this, thus far but we suspect we’ll soon see the results. 5. You need to Rank! Unfortunately, a lot of the people who are new to SEO only think about getting on the first page, which is great. Don’t get me wrong, everyone would love a first-page ranking but what if it isn’t bolstering your bottom line. A couple of key performance indicators(KPIs) of your SEO efforts should include the growth of organic traffic, organic traffic for each keyword, total conversion from organic keyword and search traffic. Here’s a surprise, big G doesn’t know how many visitors your website gets. Maybe you had the idea that traffic is directly proportional to rankings and the more traffic you had, the higher your search rankings. Don’t worry, we hear this all the time but it’s partially true. Typically, the better your search rankings, the more traffic you will get. Think about it, when was the last time you went to the second page of the SERPs? #1 how much traffic are you getting from it? #2 Are you making any money from it? You might be ranking for keywords that don’t bring any conversions or search traffic or sometimes, even both. This is another unfortunate lesson that almost all search engine optimization experts learn. If all of your SEO and link building efforts are only directed to your homepage, then you will effectively create an unhealthy or rather unnatural presence in search engines. Your goal is to be as diverse as possible, so don’t be lazy and be sure to link to your internal pages as well, spread the link juice to your deepest pages. A while ago, in what seems like forever, you could simply change a few things on your site and BAM! —Higher search rankings. But those good old days are over and done with thanks to the ever-evolving Google algorithm updates, and now, SEO is a long-term investment not just financially but time-wise. While social signals do a play a role in SEO, there’s no evidence to qualify it as a ranking factor and only serves with branding, building trust and credibility. Having said that, if you have a killer piece of content and it garners social shares, you effectively generate natural and organic search traffic. There’s no denying how priceless backlinks can be to your SEO campaign and more importantly, they are a huge ranking factor. However, the quality of a backlink will always trump the quantity of backlinks. Additionally, you might also want to consider building relations with other industry leaders with authoritative blogs. While we have made some changes in the use of keywords there are still those who abuse it which might earn your website a penalty. What’s more, the rage nowadays is all about keyword density, and it has become a form of science with recommended metrics such as less than 1.5%. Despite constantly being disproved, this notion still has roots but all you need to focus on is writing for the user and naturally. Combine that with on-page SEO, and you’ll have a solid foundation. A lot of people think about SEO regarding Google only; they don’t consider the other search engines like Yahoo, Bing, Yandex, Baidu among others. While it can be hard to keep up with the latest SEO best practices of all search engines, fortunately, you only need to focus your efforts on the main three search engines—Google, Yahoo, and Bing. All right, a clear show of hands if you just read through blankly without knowing what Search Engine Optimization. It can be overwhelming when you’re starting out, and a lot of SEO experts can attest to that. Fortunately, there are a lot of resources online to get you up and running with your first SEO campaign. It doesn’t have to be hard, all you need is patience, persistence and most importantly take action. These are just some of the most popular misconceptions surrounding SEO; there are more or less depending on which forums, blogs or newsletters you’re subscribed to. Hopefully, be by debunking these 14 common misconceptions about SEO, you’re in a better position to improve your search rankings.